You can't surprise the universe twice — not even the Marvel Cinematic Universe — so it's an achievement that "Guardians of the Galaxy, Vol. 2" is an engaging, entertaining romp through the cosmos, even if it doesn't hit the giddy comic heights of the first installment. 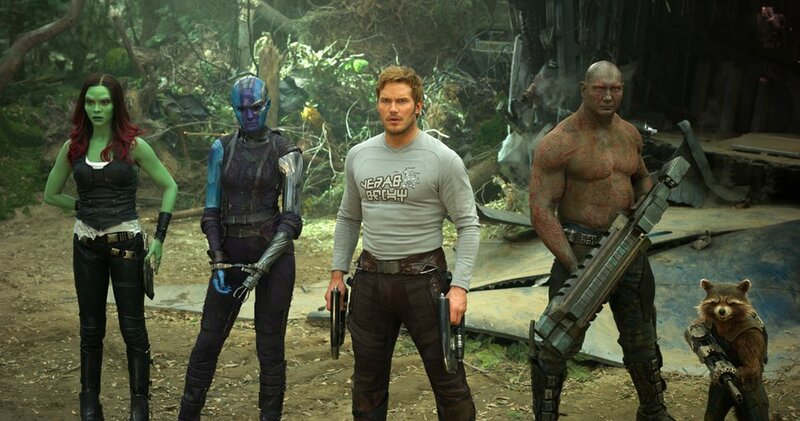 When we begin with our band of interstellar misfits — cocky Earthling Peter "Star-Lord" Quill (Chris Pratt), green-skinned warrior Gamora (Zoë Saldana), muscular Drax (Dave Bautista) and smart-mouthed Rocket (voiced by Bradley Cooper) — they are hired by a gold-skinned species, The Sovereign, to fight off some tentacled beast. 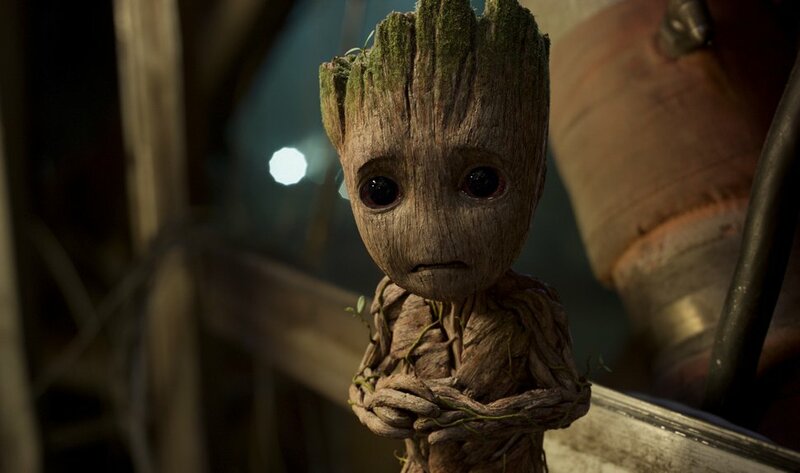 We only see the action in the background, as writer-director James Gunn focuses instead on Baby Groot (voiced by Vin Diesel), the literal offshoot of the first movie's martyred 9-foot tree creature, frolicking amid the slime-covered violence. Such misdirection is one of Gunn's favorite tricks, tweaking the conventions of the action genre while staying firmly within the Marvel lore. The movie bobs and weaves through some oddball subplots in an effort to obscure a thin central story. That story centers on the mystery of Peter's space-faring father. It turns out Peter's father isn't just from another planet — he is a planet. 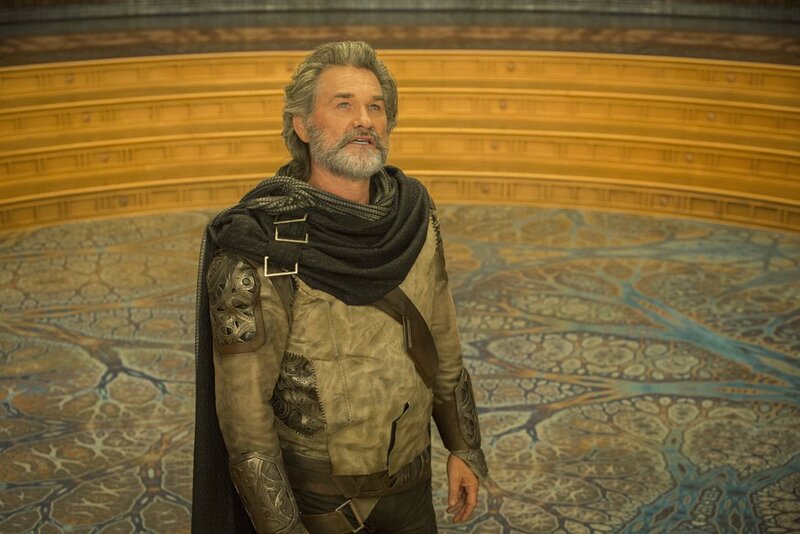 Ego the Living Planet is a Celestial, an ancient intelligence whose human form looks a lot like Kurt Russell. 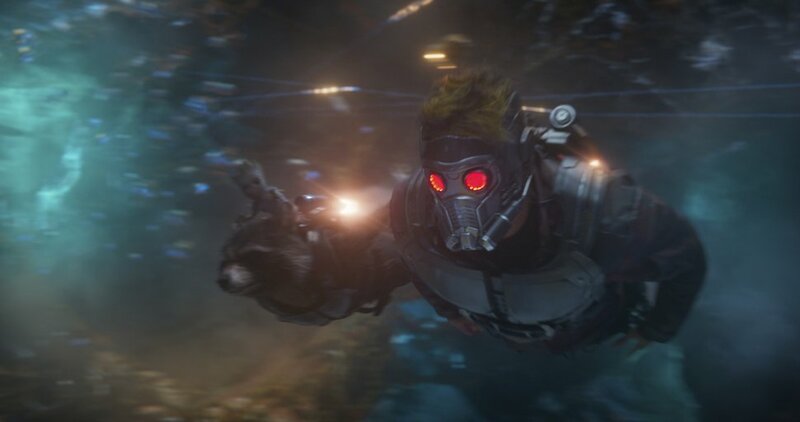 Ego brings Peter to his home world for an eye-opening reunion, accompanied by Gamora, Drax and Ego's empathic servant, Mantis (Pom Klementieff). 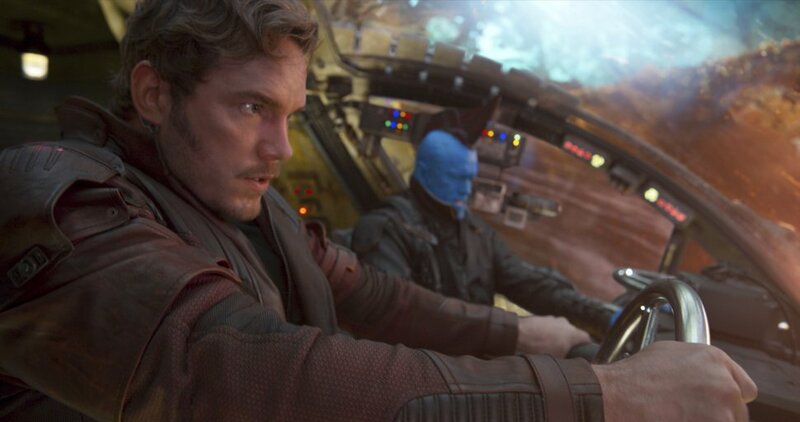 Meanwhile, Peter's previous father figure, the nasty blue-skinned bounty hunter Yondu (Michael Rooker), is on the Guardians' trail. 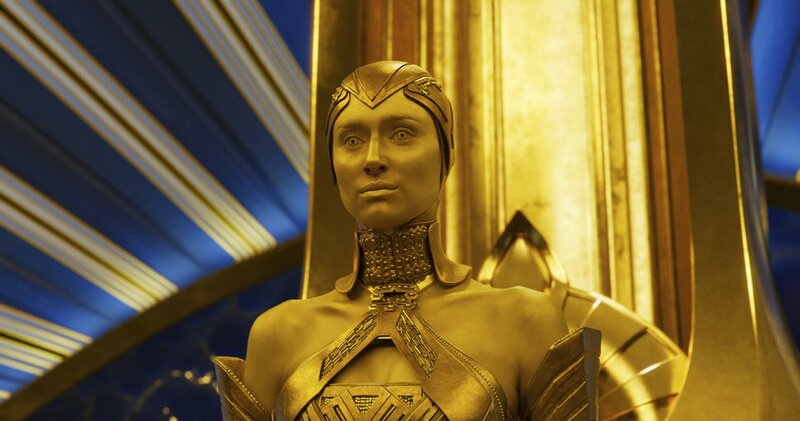 Yondu has been exiled by the other Ravagers, led by Stakar Ogord (Sylvester Stallone), and hopes to atone by capturing the Guardians for Ayesha (Elizabeth Debicki), high priestess for The Sovereign, who were offended when Rocket insulted them and stole one of their treasures. 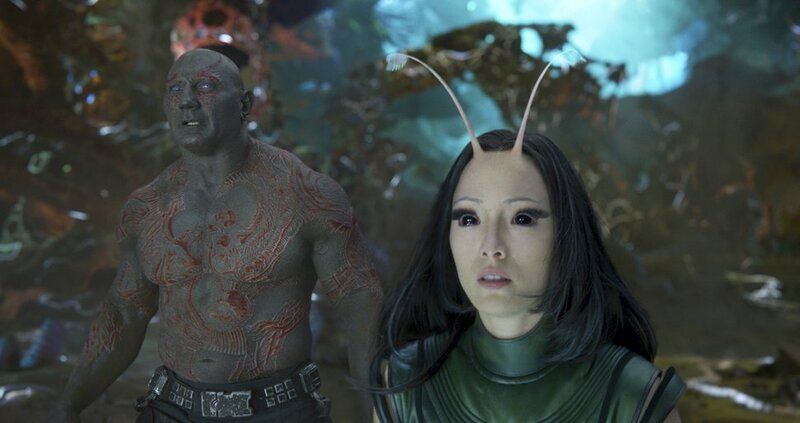 In a script overstuffed with subplots — Peter and Gamora arguing over that "unspoken thing" between them, Gamora and Nebula settling old scores, and Yondu and Rocket teaming up against mutinous Ravagers — Gunn also includes heaping handfuls of throwaway jokes, Marvel inside references, a barrage of '70s and '80s song cues, and five (count 'em) post-credit scenes. Gunn strains to outdo the first movie, and the strain sometimes shows. 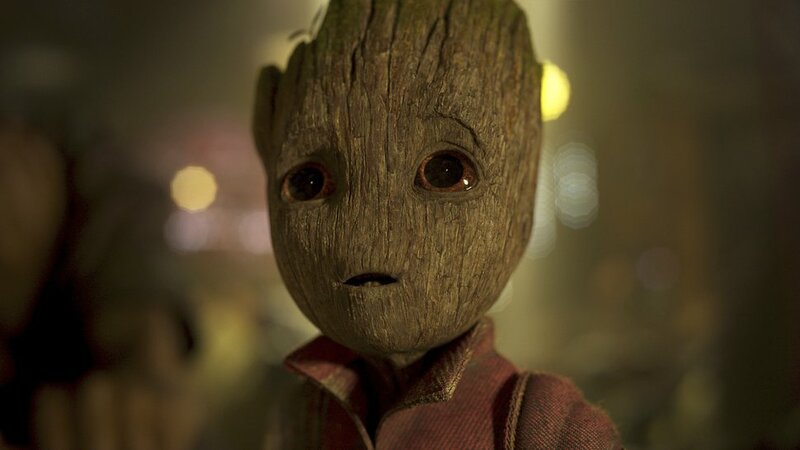 The jokes don't land as regularly, and characters that were funny and cool the first time — especially Rocket and Groot — come dangerously close to annoying and overplayed. 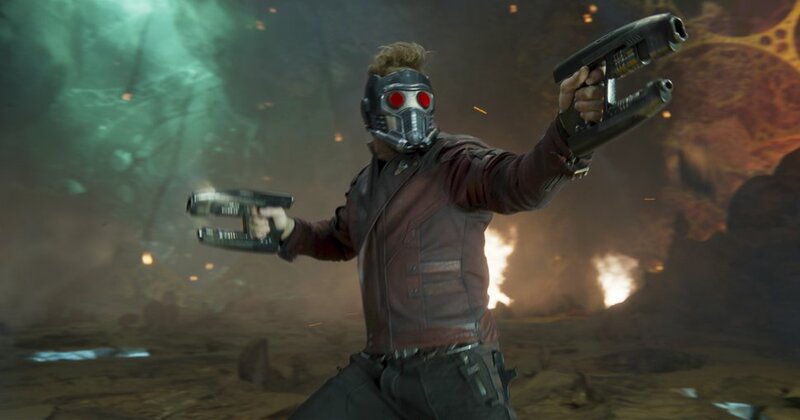 Still, "Guardians of the Galaxy, Vol. 2" builds on the first movie's strong foundation, with a friendly cast — notably Pratt, Bautista and Saldana — and fun action sequences. It's good enough to make a fan look forward to Vol. 3. Marvel's interstellar rogues are back, straining to recapture the magic of their first adventure. When • Opens Friday, May 5. Rating • PG-13 for sequences of sci-fi action and violence, language and brief suggestive content.